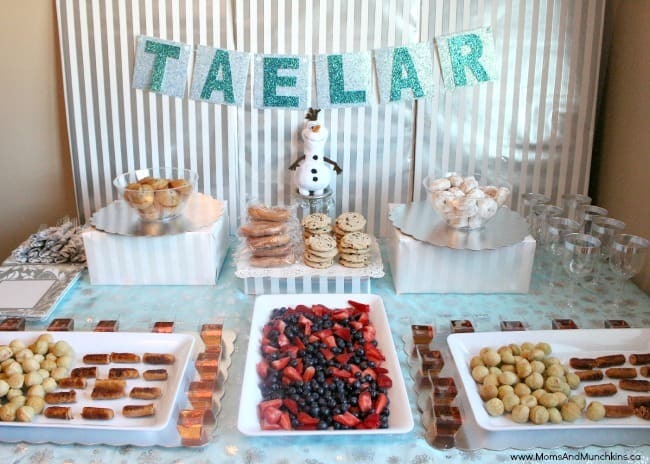 I recently planned an Un-Slumber Party for a friend’s daughter with a fun Frozen theme. Wondering what an un-slumber party is? It’s basically all the fun of a slumber party but without the sleeping over part. So you still get slumber party games, breakfast foods, a movie marathon, etc. but all the kids go home before bedtime. It’s a great idea for younger kids! You can read all about Un-Slumber Parties in the latest edition of Pink Magazine (games, foods, favor ideas, decorating, etc.) but here I’m going to tell you how to plan a party with a Frozen theme. 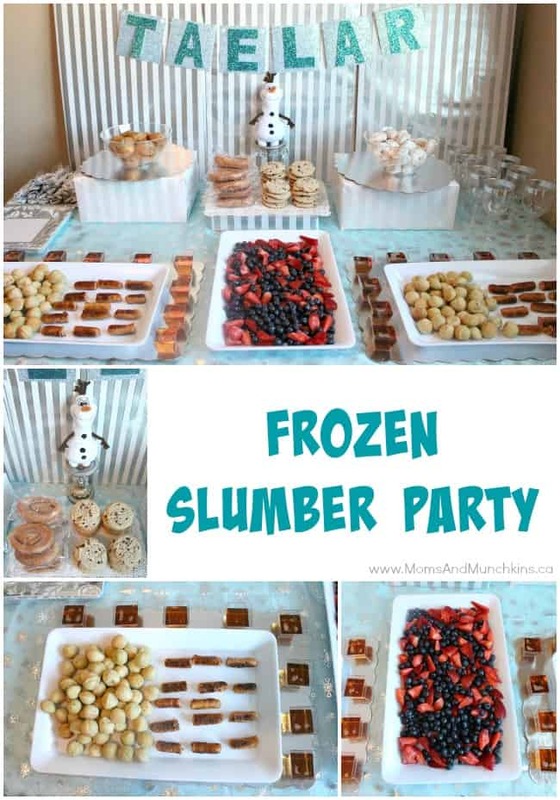 Whether it’s an actual sleepover or not – here are some great ways to plan a Frozen Slumber Party. foods with fun character names like Sven’s Carrots (carrot sticks and dip), Kristoff’s Ice Blocks (blue JELL-O squares), Troll Stones (meatballs), etc. 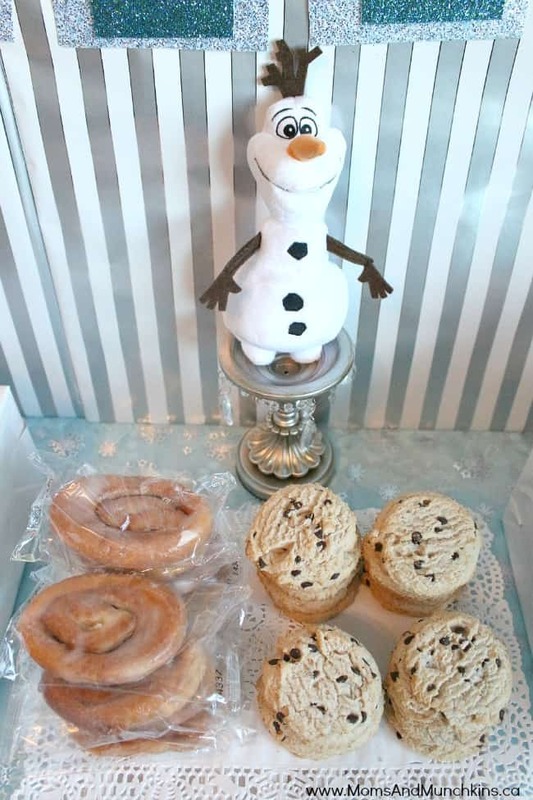 Frozen Party supplies like cupcake toppers, food labels, favor bags, etc. For more ideas for Frozen food, games, favors, decorating and more, visit our Frozen Party Pinterest board. 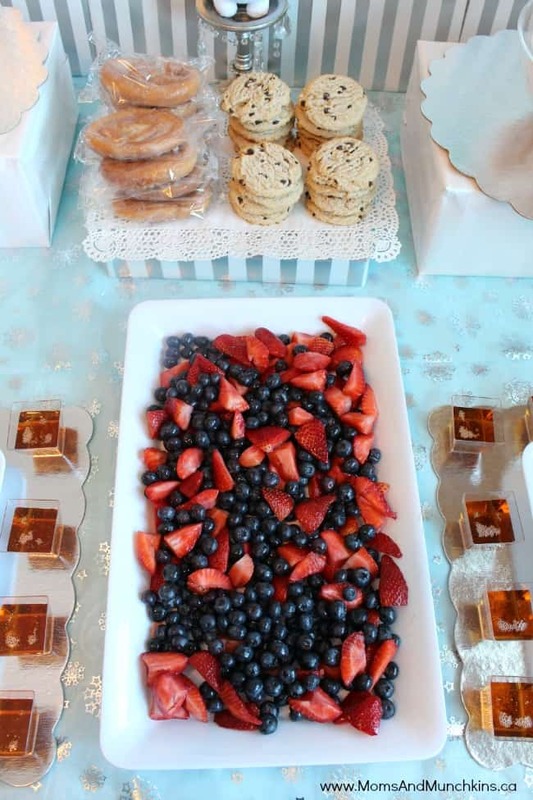 There are so many great ideas there from talented bloggers & party planners! 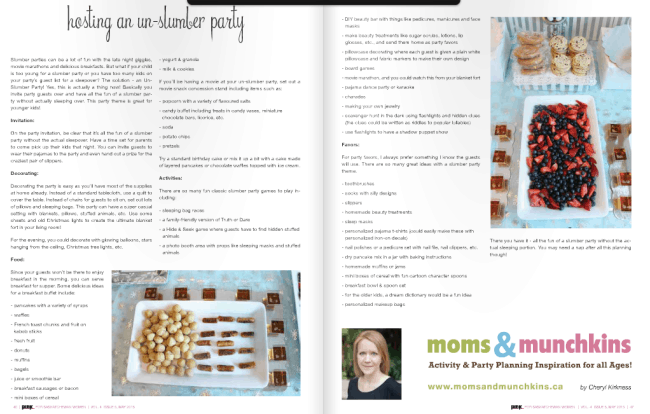 You’ll find plenty of ideas for slumber parties in the latest edition of Pink Magazine! 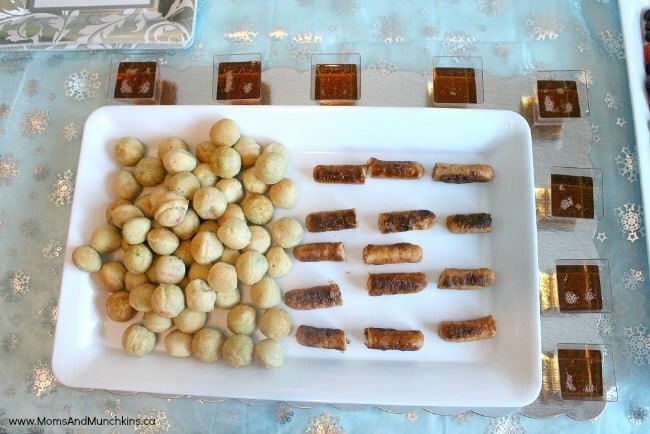 For more party ideas & themes, visit our Party Ideas page! We’re always adding new ideas for parties & family fun! Never miss an update by following us on Facebook, Twitter, Pinterest, Google + and Bloglovin’.